I saw someone mention Maddog Machete mid July 2017 and got intrigued. 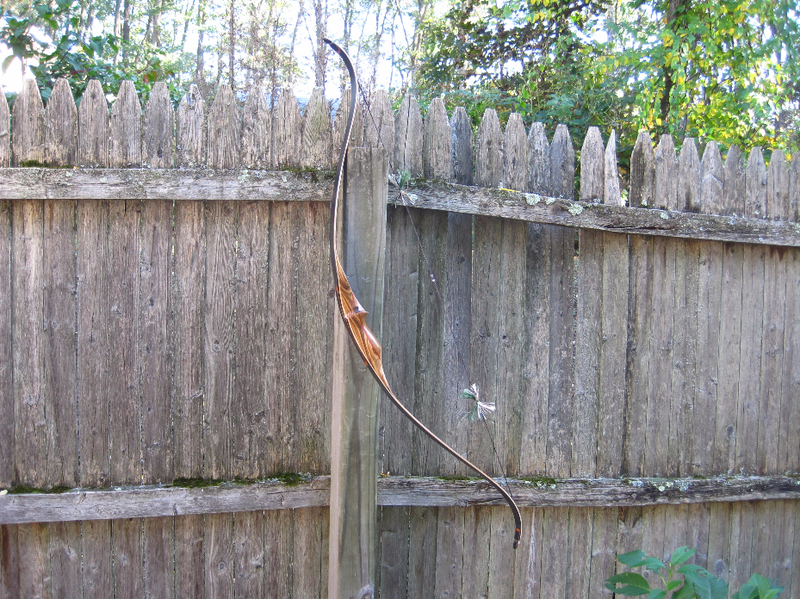 Contacted mike about the bow in Early September, and he build it for me. Wait was about 5 weeks. 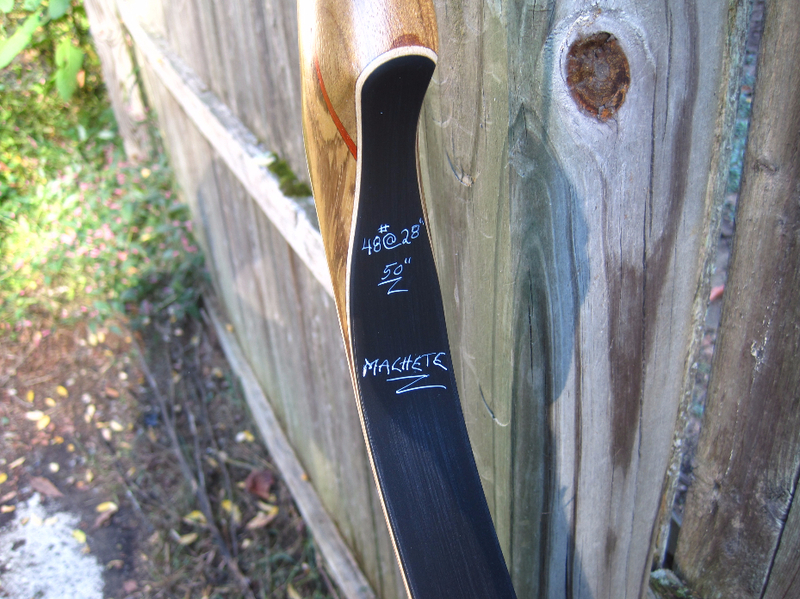 It is not the same machete from 2012 though, redesigned totally new, 50" bow that takes 46" string (so I guess it would be AMO49"). Mine happens to be 2nd off the new form after prototype. so kinda special for me . everything bowyer's choice, except for weight. which I asked to have it between 45 to 50 pounds. The riser wood is zebrawood/bloodwood accent line/Shedua. Mike did incredible job of matching wood grain across the accent line, so that it looks as though it's same wood. my actual DL is 26", AMO DL would be 27.75 (I think). The bow could probably go another inch or two. at least, I'm not feeling "stop right there" type of wall I get from herters perfection 46/rodney wright stalker at my DL. The brace height is set to 6.75". 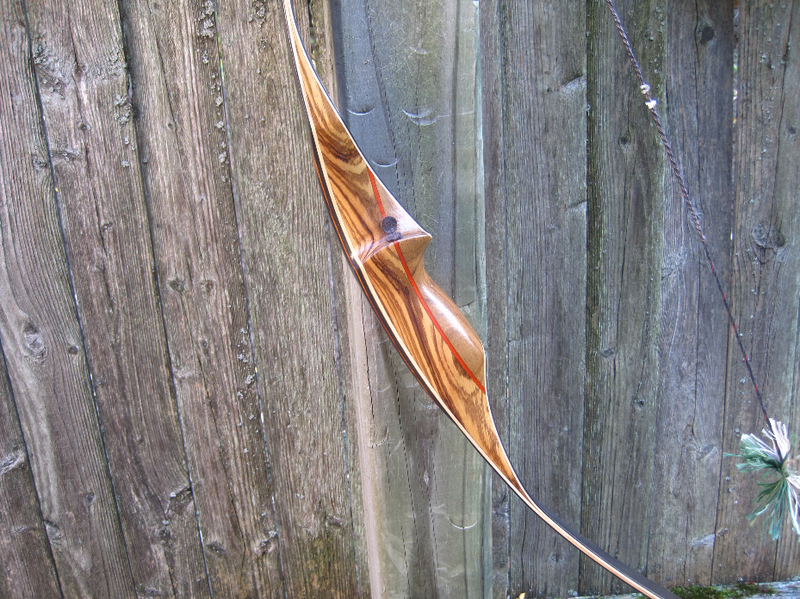 pretty low for this type of short recurve. Mike told me it can go up another 1/8 inch if needed. The video above compares Maddog Prairie Predator 60" to Maddog Machete 50". sorry about the sun light, but you can see how the bow opens up. 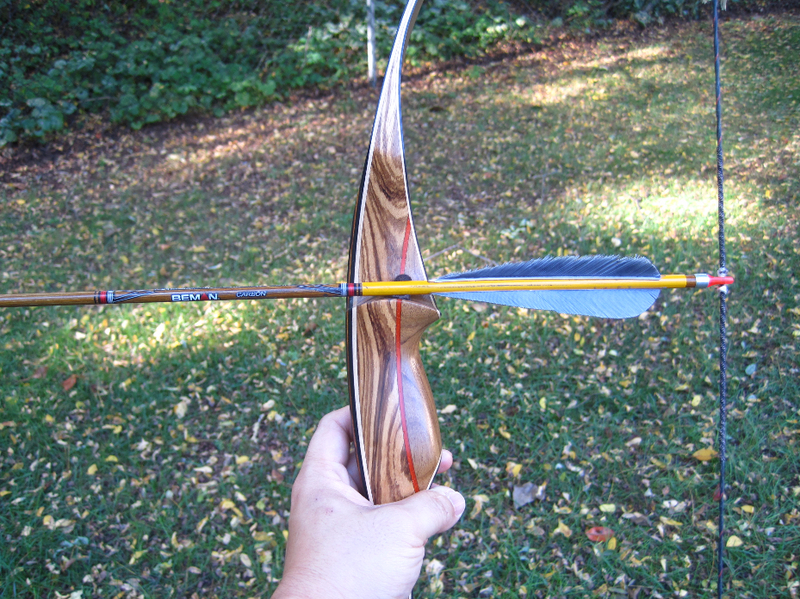 notice the way recurve tip doesn't open on full draw. (no comment on my shooting ability please, I know I'm not good! ). very very stable. for low mass riser. almost dead in hand. I found Prairie Predator to have more motion than Machete. not the fastest out of my stable of short recurves, but plenty fast for the draw weight, might be from low brace that it likes at 6.75". There's plenty of power stroke... compared to most of my other shorties, that range from 8.5 to 10" brace. there's also noticeably higher load at the "very Beginning" of the draw cycle, that tapers down as I reach the end of the draw. 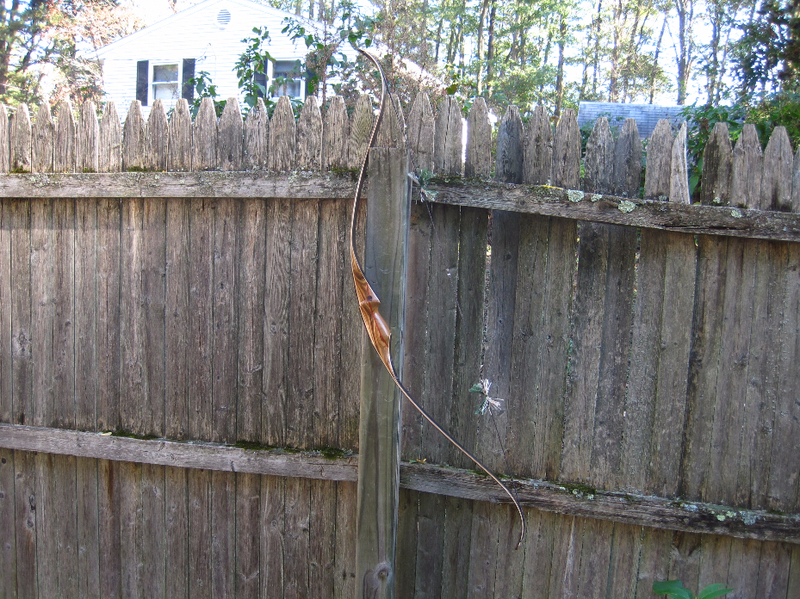 which I've experienced in the past with some of the static recurve. The machete seems to have similar feel. it may be because of the "semi-static" nature of the limb, as curve at the end of limb really doesn't open up on full draw. what drew me to this shorty is over-all design, in that riser does not deflex as much as at fades like my other short recurves. Machete definitely gave me a very different, almost unique, yet satisfying shooting experience. I'm extremely happy with this bow! definitely worth selling some stuff I had.